I love stripes. 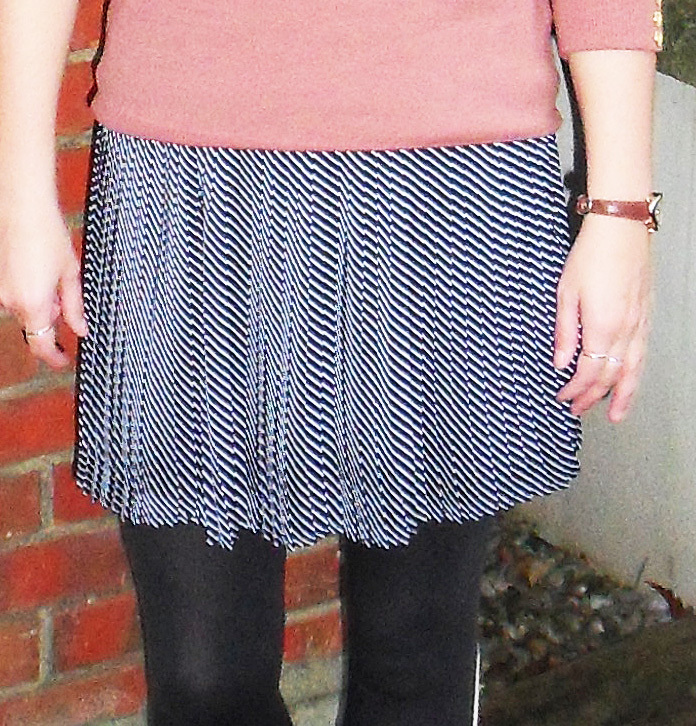 The skirt is actually blue and white stripes although it looks black and white in the picture. The beret is really warm and fluffy and looks great with the navy cape!